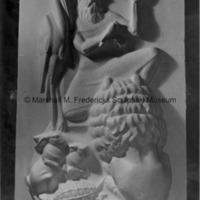 Plaster relief sculpture depicting Aesop surrounded by animals and characters from his fables. 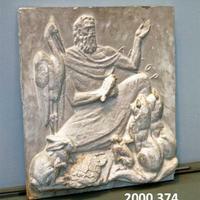 These include the tortoise and the hare, a monkey, fox and stork, and fox and crow. 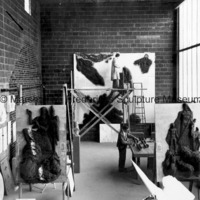 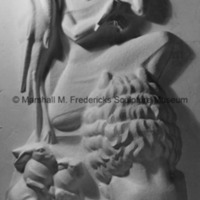 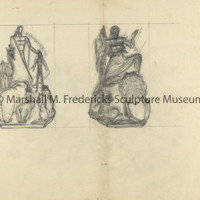 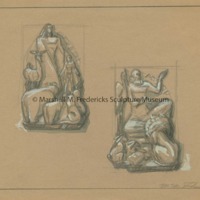 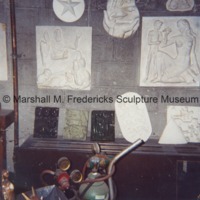 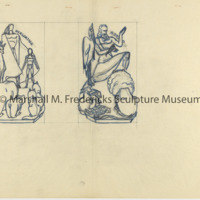 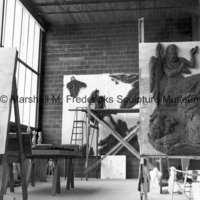 Marshall Fredericks' Royal Oak studio with plasteline models for "Hiawatha," "Aesop" and "Spirit of Kentucky"